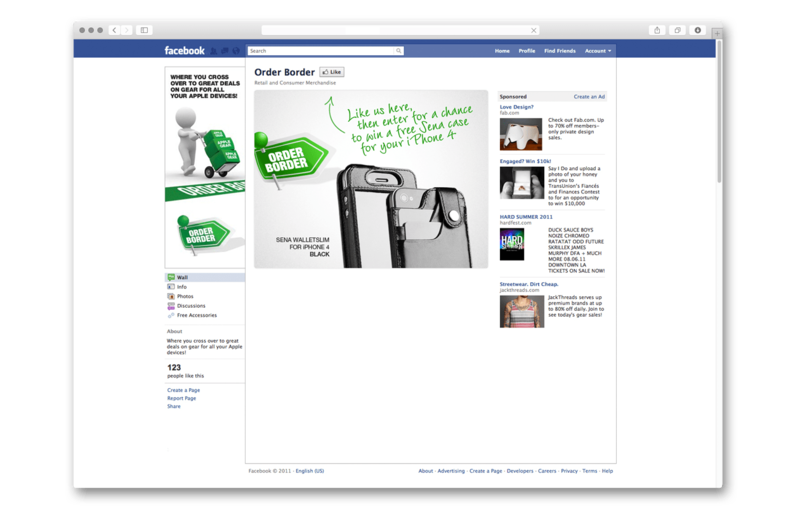 Order Border is a group-buying website targeted directly to Apple product owners and enthusiasts. 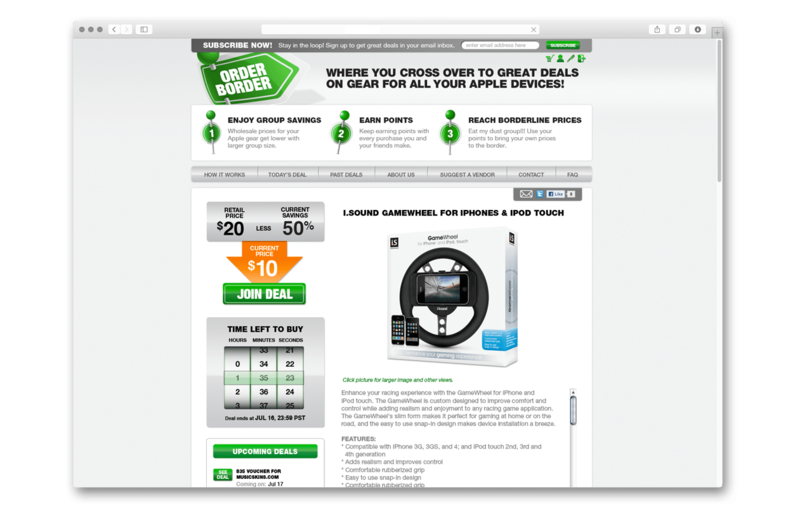 They offer deals on products such as accessories, software, and peripherals for iPhones, iPods, iPads, Macs, and Macbooks. 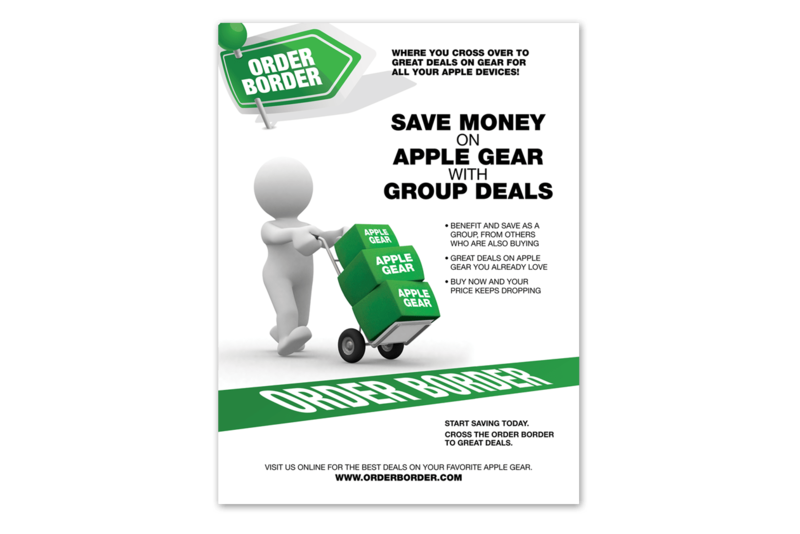 Order Border differentiates themselves from other group-buying websites with a unique focus solely on Apple-related gear. They also have an innovative “Borderline Price” concept that offers the absolute lowest price in one of two ways. A group can take advantage of the price by getting a specified number of users to join the deal, while an individual can access it thorough a social media-based point system. Order Border aimed to attract more customers by establishing a distinct brand and identity that would include a website, logo, print ads, and email blasts. 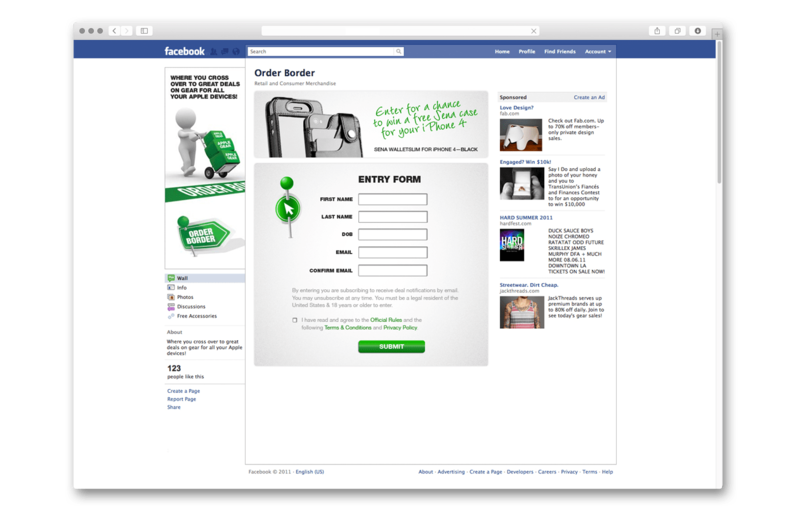 They also wanted to focus their marketing heavily on social media advertising and contests. I worked with Order Border to design and create a fresh and relevant logo and brand that would appeal to their demographic market. I created a new eCommerce website with a distinct design and concept which targets Apple enthusiasts. I also created email blast and social media campaigns to bolster the number of new followers and convert them to customers, and created print trade ads to drive new business. Order Border was able to launch with great success and orders started rolling in.